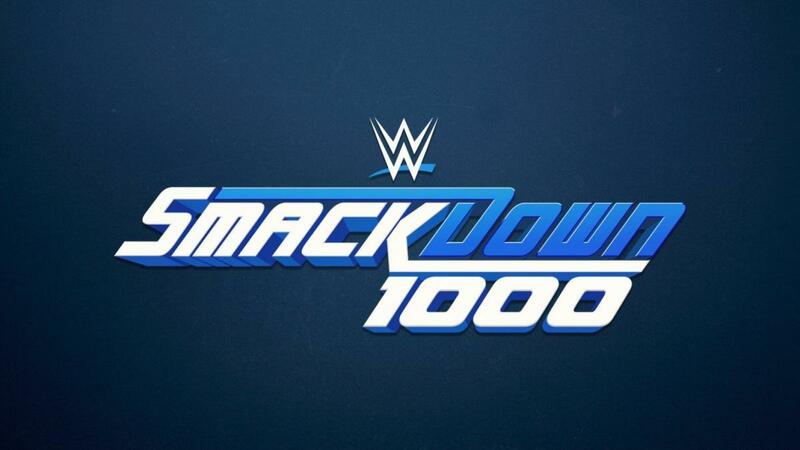 It appears that a few more returning wrestlers are set for SmackDown's 1,000th episode. The Capital One Arena in Washington D.C. is advertising that Michelle McCool, Torrie Wilson, and former SmackDown general managers Teddy Long and Vickie Guerrero will be appearing on SmackDown 1000. The show is taking place at the Capital One Arena on October 16. PWInsider also reported that Rey Mysterio, who has officially signed his deal to return to WWE, is currently scheduled for SmackDown 1000. As was previously announced, an Evolution reunion (with Triple H, Batista, Randy Orton, and Ric Flair) and an appearance by The Undertaker are also set for the 1,000th episode. The Capital One Arena is listing AJ Styles & Daniel Bryan vs. Samoa Joe & The Miz and Charlotte Flair, Asuka & Naomi vs. Becky Lynch, Peyton Royce & Billie Kay as a "double main event" for the show, but those may be placeholder matches. Styles vs. Joe, Bryan vs. Miz, and Jeff Hardy vs. Orton were originally advertised before being changed.